Are you thinking about stepping up your freestyle/wakestyle game? Maybe you're looking for a mega-looping machine? Something with the most direct steering, explosive lift, and mad pop? Look no further, amigos—it's Vegas time. The North Vegas is a kite that will blow your mind—just be sure you're ready for it. While the performance capability is unquestionable, the level of forgiveness is also a bit less. Meaning that you will have to actively fly this kite to get the most out of it. It's not a "park and ride" kite, like the Rebel or Evo. The wind-range, relaunch ability, and low-end power will be noticeably less with the Vegas. If I want the power of a 12m, I'd go with a Vegas 13m. If I want easy relaunch, I'm going to need to learn how to use the 5th line. I'm also going to be using my board to edge hard in the gusts to help depower the kite. With that said, however, all of those adjustments are not a big deal in contrast to what you can potentially get out of the North Vegas. When I first started riding this kite, I was blown away by the unhooked performance. I remember learning basic unhooked tricks and how the kite seemed to develop power out of nowhere. I'd trim the kite a little, unhook, load up, and not expect much pop—then bam! I'd be plenty juiced! It's true—the North Vegas is not the best kite for everyone. But if you've read this and are still captured by this stunning temptress—just give us a call! Teijin is the world’s leading supplier of polyester fabrics and sail materials to marine sports. The combined creative power of North Kiteboarding saw the formulation of TRINITY TX. Exclusive to North Kiteboarding, TRINITY TX is a 3x2 canopy material, which has proven to be far superior to other canopy materials in terms of durability and dynamic performance. The 3x2 yarn combination has proven to be the best solution in performance as well as durability, overall superior to any 2x2 or 4x4 yarn solutions. TRINITY TX. Made to stand the test of time. The double coating process of Trinity TX createas a crisp and very direct response to steering, ensuring long term durability and strong resistance against any environmental factors such as UV. The unique coating procedure ensures that each individual yarn is covered and protected before being woven into one fabric. The additional second coating then protects the canopy as a whole, safeguarding the crisp texture of the material for longer. This process not only keeps the canopy material protected from the sun’s harmful UV rays, but also from salt crystals, sand, stones and other sharp objects. Enlarged tubes from 28 mm² to 64 mm² to maximize air flow and allow for rapid inflation and deflation of your gear. Integrated into all North 2018 Kites. 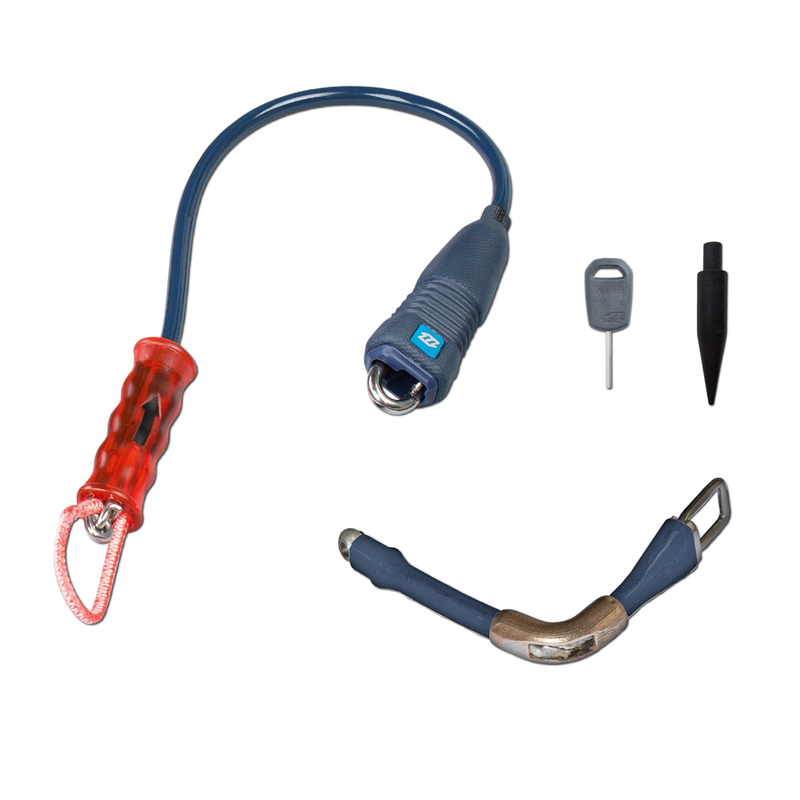 The 2018 Click Bar and Trust Bar do not come with chicken loop, chicken dig and safety leash! Please consider adding a style kit. The 2018 Vegas requires a 5th Element Upgrade Kit. Powering and depowering your kite has never been easier. The unique Trim Unit enables you to power and depower in precise steps at the flick of a switch. To reach optimum safety the Click bar is equipped with the Iron Heart V, ensuring a quick and reliable safety release. Furthermore lines, even the guided safety line, are automatically untwisted during rotations. Delivered with a 4 line set up and adjustable to 22 m or 24 m line length, the Click bar is the cleanest system on the market. Also available is a 5th Element Upgrade Kit. 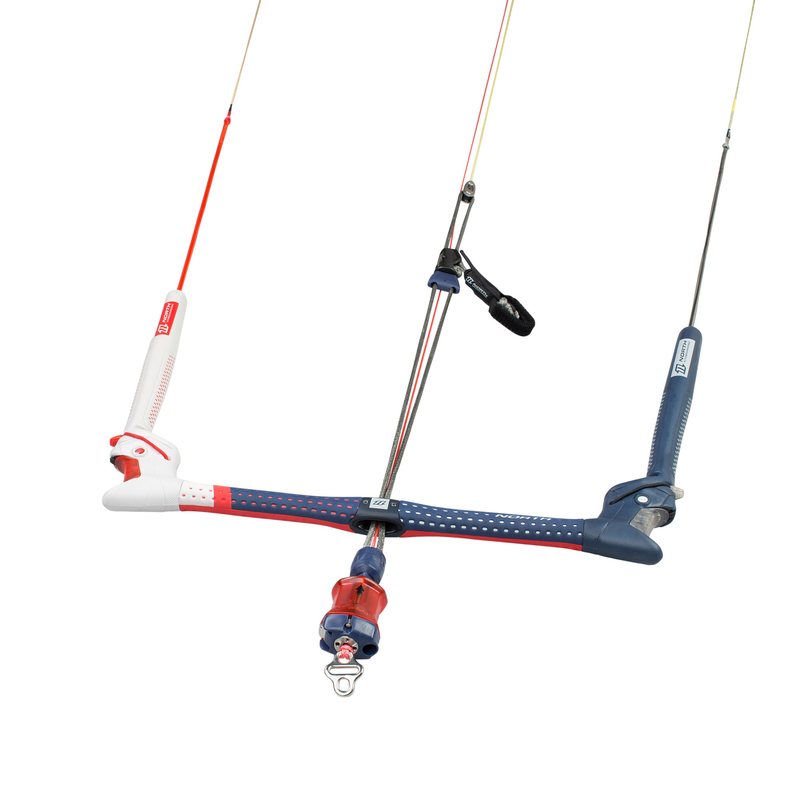 The North Kiteboarding Trust Bar is a progressive and effective tool to steer your kite. 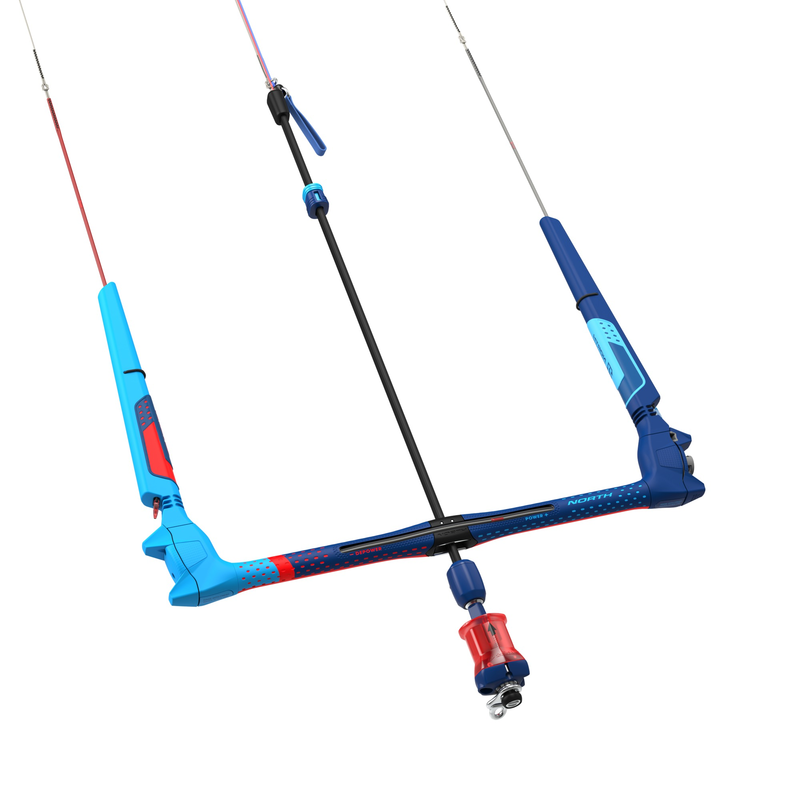 It is equipped with the most functional safety system in kiting, the Iron Heart V. Over the years it has made a name for itself in the kitesurfing industry and amongst the riders; it stands for unmatched safety and reliability. 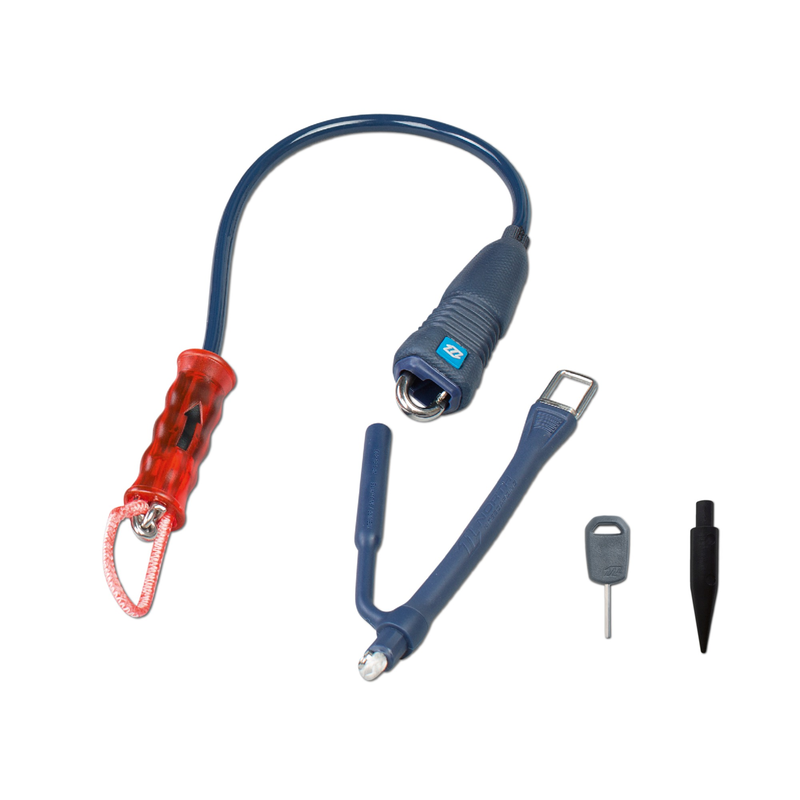 Comes with a small chicken loop for a bigger depower stroke and a shorter leash for less tangling. Not designed for unhooking. 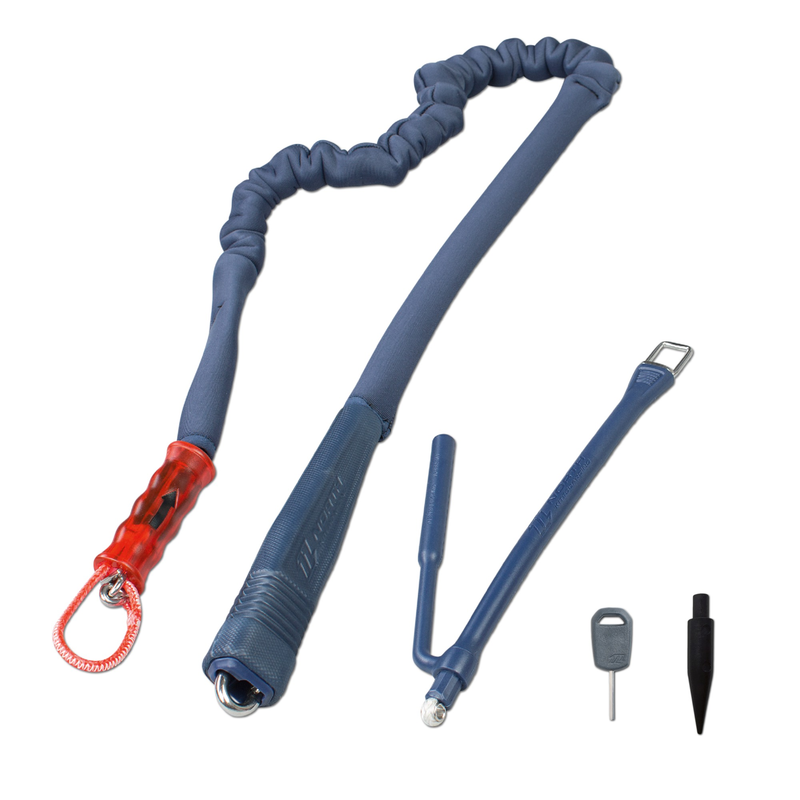 Comes with a large chicken loop for easy unhooking and hooking back in and a long, soft, neoprene covered leash. Kit designed for easy and comfortable passing of the bar. Smooth sliding of the rope in combination with rope harness means no wear on the rope. Direct connection to the Iron Heart results in a bigger depower stroke. No irritating chicken dig.